We discussed the process layers of RAMI 4.0 with the help of pizza baking example in my last blog post. Now let’s discuss the product life cycle value stream, the second dimension of the RAMI 4.0 model, and how it is connected to the process layers. So now our pizza shop is no more a “basic” pizza shop but a pizza start-up with an idea of designing new sort of pizzas and thus expanding the product portfolio. In our case, we will assume that our start-up wants to design a chocolate pizza (believe me you can get one in Germany) with a special crispy/cookie base and chocolate spread and cacao topping on it. Now before, I start explaining the different design and development process of our product, let me give you a quick background of product life cycle and its meaning in RAMI model. Every product has a life cycle which begins with idea generation, design concept, prototype testing and continues with manufacturing, delivery, service and maintenance and end ups with product phase-out or disposal. RAMI 4.0 model not only addresses the product life cycle of the product as a whole but also of its components. In our case, the chocolate pizza is the complete product and cookie base, chocolate spread and toppings, crème etc. are the components. Even our new pizza has a complete product life cycle: the owner has a fresh idea for a new pizza and then he comes up with a design (flavor and ingredients) of it and further it goes into production (baking or mass-baking) and it ends up with phase out (taking chocolate pizza off the market). Talking about the life cycle of the components, even the key ingredient of our new pizza i.e. cookie base, chocolate spread etc. had gone through almost all these stages. So what are “Types” and “Instances” in the RAMI model? As long as our pizza is in design development phase, it is a “Type”. Once it goes into the production it becomes an “Instance”. 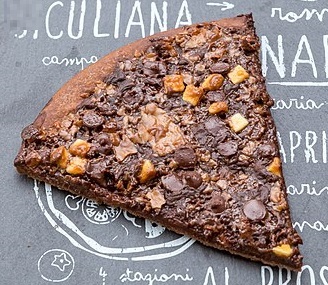 If our pizza baker plans to redesign the pizza with some enhancement (two flavoured square shaped, chocolate pizza ver. 2.0) then the instance turns back to type. Important to know is that every instance has a unique id. In our case, the pizza startup owner decides to carve a unique ID on each pizza as well as each delivery box for easy tracking of orders. That’s all about the product life cycle value stream of the RAMI model. But the question remains, how is it connected to the process layers described in part 1? This I would like to explain by the means of the diagram below. Here the terms development and maintenance usage under type refer to development and revision related information and content respectively. The terms production and maintenance usage under instances refer production related and service/product enhancement related information respectively. It is not always easy to categorize the information related to the product life cycle value stream under the process layers and there is always some room for mistake. In my example, I tried to categorize the information related to product life cycle of our pizza, based on various process layers. Here the “Information” layer under “Type” (at the design stage) contains data which is relevant to the product design and prototype, for example, best temperature, the time needed to bake it and so on. However, the “Information” layer under “Instance” has to do more with the production stage (mass-baking) i.e. batch detail (amount of pizzas in a shift) and data on quality (number of bad out of good pizza). Now it’s time to grow our business and scale up our start-up to a pizza production factory. This will demand automated and well-documented processes and this is where the third dimension of RAMI model, the “Hierarchy levels” comes into the picture. What are they and how they are related to process layers and product life cycle value stream? This I will explain in part 3 – pizza production of this series.